Repairing your chimney, fireplace or venting system can be a difficult and time-consuming task. We have the products, knowledge and experience to make your repairs as painless as possible. 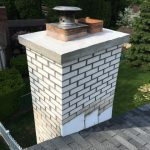 While the need for exterior repairs may be obvious, chimney interiors require in-depth inspection. Our video camera equipment allows us to evaluate masonry chimney flue walls and mortar joints, as well as metal chimneys and stainless steel liners. Contact us to determine your repair needs. 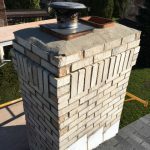 Our services include masonry repairs, specializing in chimney top repairs. We can rebuild, repoint and recrown your chimney. After completing any necessary repair we can protect your investment with high quality waterproofing designed specifically for chimneys.